I bet it will be a fun one with Christy hosting it! I hope my kids cooperate and let me come play too. Hope to see you there! Join me for Grand Theft Layout! Hi everyone! Just popping in to say that I'm hosting a challenge at SM starting today. It's a scraplift challenge and you can find out more about it here. This week I chose to lift one of my real life friends - Sarah8914! 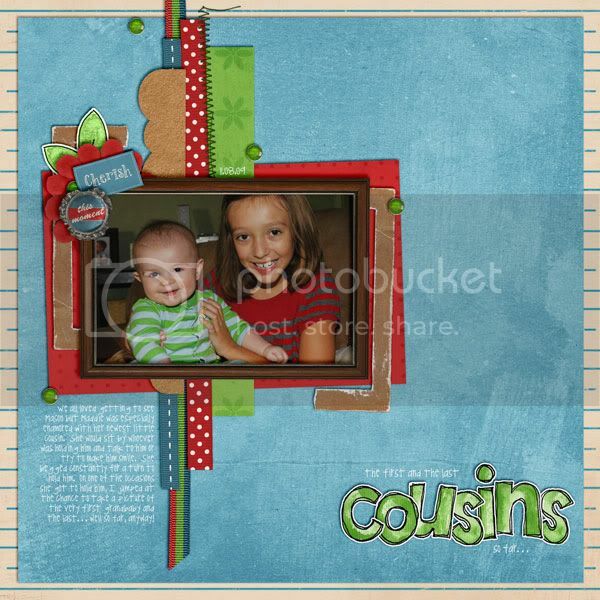 I used the adorable kit that comes with Chelle's new journaling class. It is such a cool idea!!! Definitely check it out. But hurry! The class starts in January!! Hope you'll come and play with us at SM!